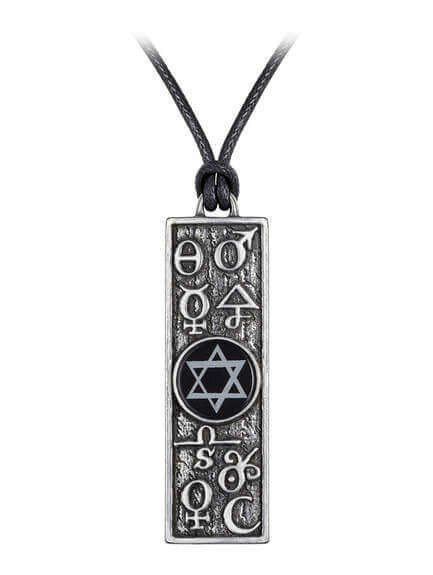 Brilliantly crafted talismanic tablet with the symbols of sun, moon, spirit, salt, sulphur and mercury, and a Solomon's Seal. 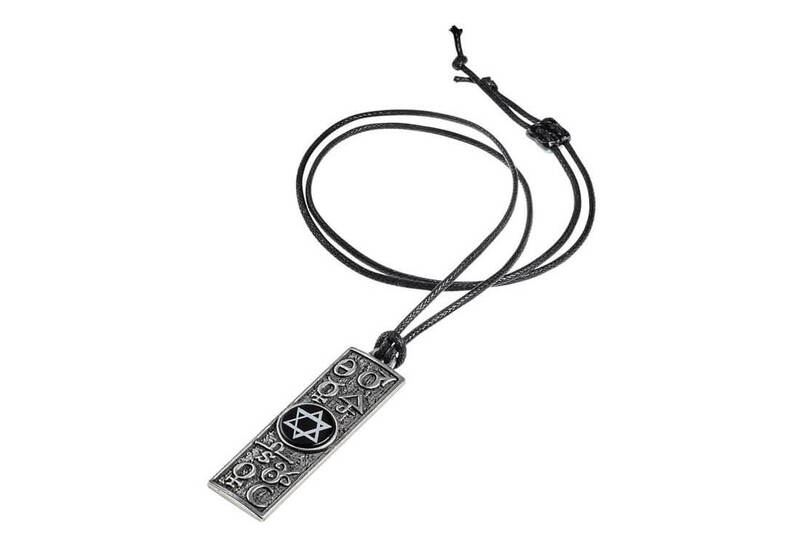 The center of the tablet has a black onyx disk engraved with the elemental star of David. 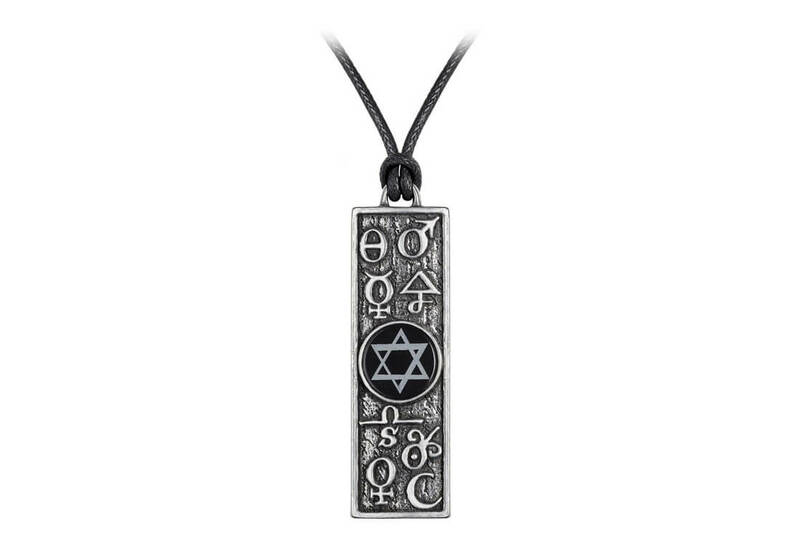 The back of this pendant necklace is engraved with the meanings of each individual symbol.